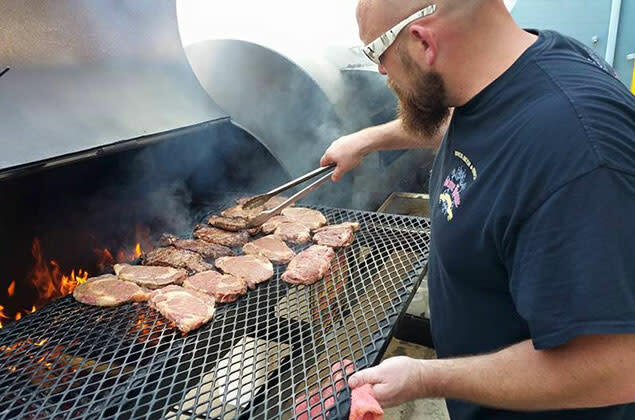 Nothing beats good beer and BBQ, something Chef Jeremy Critchfield of The Stone House Restaurant and Country Inn understands and has mastered. 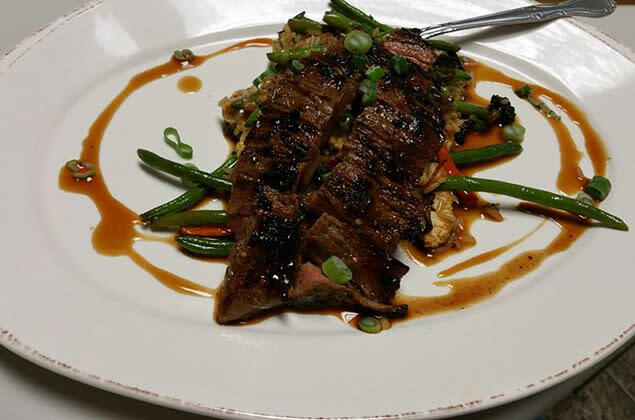 A local legend and grill-master, Chef Critchfield, the Hunt Chef, has more than 25 years of experience in the industry, working at pizza shops, luxury resorts, and currently as head chef at the Stone House. 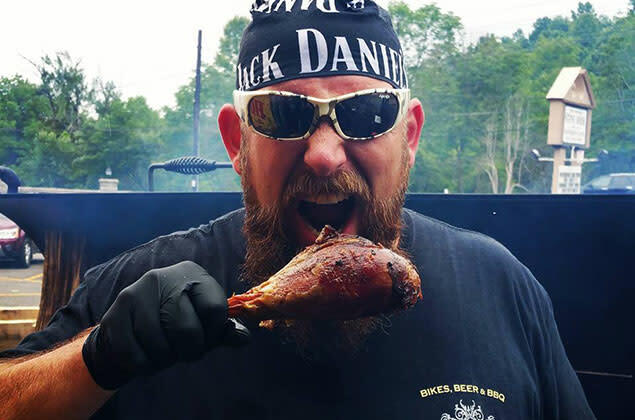 The Laurel Highlands Visitors Bureau 2015 Tourism Entrepreneur of the Year, Chef is constantly developing new recipes and ways to serve his delicious food to the masses, whether with new events, bringing his wild game to the table in creative ways, or new businesses ventures full of flavor. From the Backyard to Black Tie Catering by the Stone House to the tavern restaurant and the roadside barbecue stand to the new Stone House Butcher & Provisions butcher shop, all of Chef’s endeavors have something in common: good flavor and fresh local quality. I had the opportunity to learn a little more about Chef Critchfield and all of the exciting things happening at the Stone House. Q: How’d you get started in the food industry? A: I grew up with it. I spent a lot of time with my grandparents. My Granddad was a great cook, my Grandma was a great baker, and my mom was good at both. Family was the inspiration. From there I was a short order cook in a pizza shop, which led to culinary school, and it grew from there. Q: Do you listen to music while you cook? If so, what do you listen to? A: Sometimes. I guess music is kind of a constant in the kitchen. I listen to everything from Garth Brooks to Metallica to Waylon Jennings – a little country and a little rock and roll. Not much on pop. I listen to what gets me get fired up or is inspirational. Q: Have you ever cooked for any big names or celebrities? A: Yes, I’ve cooked for lots of celebrities over the years in the resort hotel business, including two or three presidents, all kinds of actors and actresses and artists from Fergie to Ray Charles. It’s been an interesting career. Q: Any tough critics among those? A: There have been many, but my toughest critic is always me. Q: What’s the hardest thing you’ve ever had to cook or something you hate to cook? A: I despise green bell peppers. Yuck. Any time I try to cook them, I try to make them taste better, but they never taste good to me, but maybe that’s just a mental thing for me. Q: Favorite thing to cook? A: My passion is definitely wild game – anything I can be fortunate enough to harvest or any awesome farm-raised stuff I serve in the restaurant or sell over at the new butcher shop. Q: Does being a hunter influence your cooking or affect how you cook or what you cook? A: At the butcher shop, I cut meat differently than the super market. I always approach it from a chef’s perspective – how are people gonna eat it – whether it’s game, fresh fish, or dry-aged beef – the one thought that guides and drives all of it is: “how is this going to be eaten the best?” That’s how I take care of it, cut it, and try to prepare it. Q: Tell us about your new butcher shop. A: We opened September 13, 2016, Stone House Butcher and Provisions, which has been really well received and is located right here at the Stone House Restaurant. There aren’t very many local butcher shops in the area anymore. 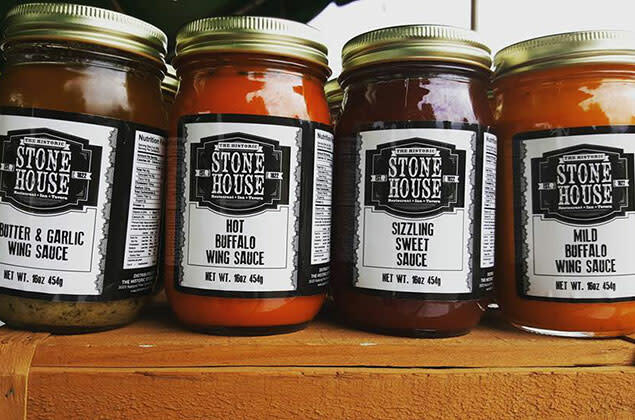 We’re fortunate to get what we need for the Stone House Smoke House BBQ, catering, the restaurant, Braddock’s Restaurant up the road, and still have great retail options for the local community. People already drive an hour to come get their meat from us. We specialize in dried steaks and wild game. People have also caught on that I can get you pretty much anything you want within three days. Q: Besides the Stone House’s new butcher shop, what is your favorite place to shop for good food or can you share any hidden gems in the area where you source your goods? A: We do a lot of work with Footprints Farm, right up the road from us in Gibbon Glade. Their product and quality is unmatched. Q: How did you end up at the Stone House? A: I’d worked 10 years previously at Nemacolin Woodlands and been a patron at the Stone House. I fell in love with the place and remember saying a lot of times through the years that I was going to get ahold of the place and try and make a run at it – make it my own and have it be something special. My partner, Fred Zieglar, has owned it since 1996, and it has been a great partnership. The Stone House has been open for 195 years now, never closed. It’s been a ton of fun these last five years seeing what we could do. We’re just truly bless with the greatest crew in the world - our GM and our whole staff are really the best. Q: Are there any exciting events coming up at the Stone House? A: We have three more beer dinners left for February, March, and April. Those have been – runaway successes is probably the best way to put it. There’s a St. Patrick’s Day Party coming up, too, which will be a lot of fun. We always do a big Easter thing. We’ll probably feed about 500 people on Easter. The day before we do a breakfast with the Easter Bunny with almost 300 kids. We hide the eggs, make breakfast, and everyone has a great time with that. Sometime in April we’ll be opening the Stone House Smoke House BBQ stand for the season. We also run this karaoke contest, which is a little outside of the restaurant realm. It’s been a huge hit and the talent is great. This year our sponsor is the Freedom Automotive Group from Morgantown, and the grand prize is $10,000 cash. May 18 kicks of bike night for the summer as well. Check out all of The Stone House events!